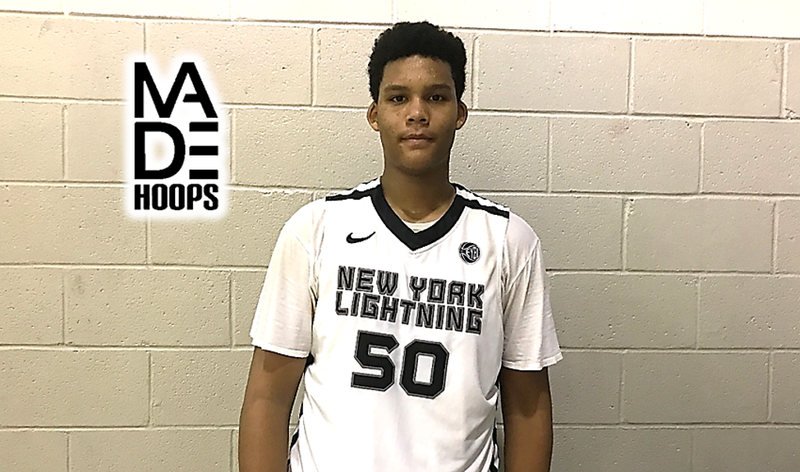 MADE Hoops got the opportunity to catch up with New York Lightning center Silas Sunday. Sunday spoke to us on his game, moving from Ireland to the United States and much more. Q: This is your third MADE Hoops session, how has your experience been here? A: It’s been good. There is tough competition from where I’m from, but I’m getting used to it slowly. Q: You moved to United States from Ireland. What’s the difference between playing over there (Ireland) and playing here in the states? A: It is faster, people are more athletic and strong. In Ireland its tough too, but here there’s more competition. Q: What have you been working on with your game? A: My post moves, I’ve been working on my shooting as well. Everything, basically. Q: When you are taking the court, what’s your motivation? A: Every time I take the court, I think to do it for my family. I communicate with them back home every day. Q: What are some of the things they tell you? A: When I have bad games I always bring myself down, but they always bring me up. They tell me it’s going to be ok. We talk about everything, like what is going on and what I do on a daily basis. Q: What’s it like playing for the NY Lightning, how has that experience been? A: It’s been fun, the team is very good. We’re getting used to each other and getting better as a team. Q: Who are some of the players you try to pattern your game after? A: My top three players are DeMarcus Cousins, LeBron James, and Giannis Antetokounmpo. I want to play like them and make it to the league like them. Q: What are some of the goals you have for rest of the MADE Hoops Lea8ue? A: I just want to play well and do me.